Longhorn Bull Skull Stainless Steel Ring - Sizes 8-11 | BUDK.com - Knives & Swords At The Lowest Prices! Nothing embodies the harsh conditions and challenges all life must face in America’s arid west better than the Longhorn Skull. 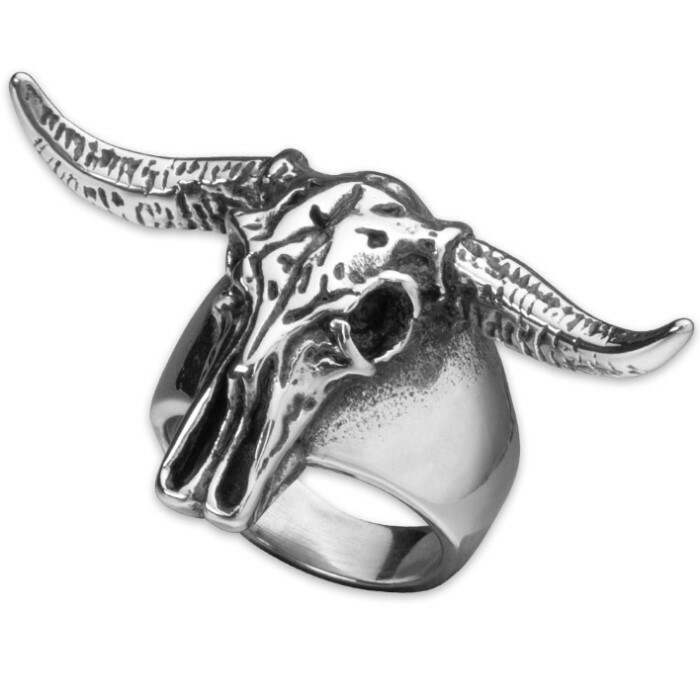 The iconic symbol has come to personify an ability to survive in the midst of horrors so deadly, even the potent Longhorn bull falls victim. 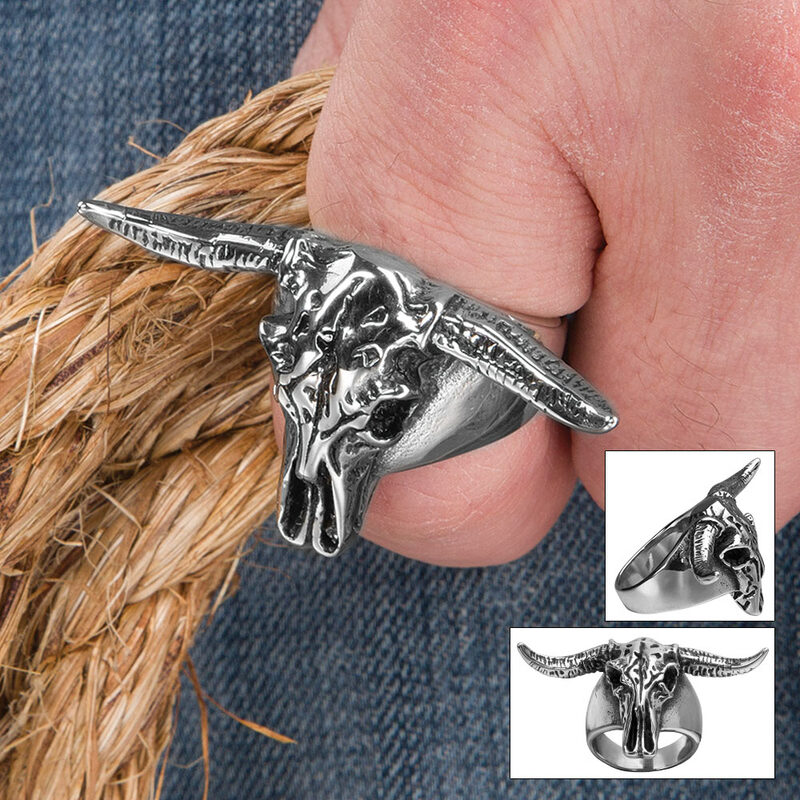 Show the world you’re a wily, tenacious survivor with this gaudy-chic Longhorn Bull Skull ring. 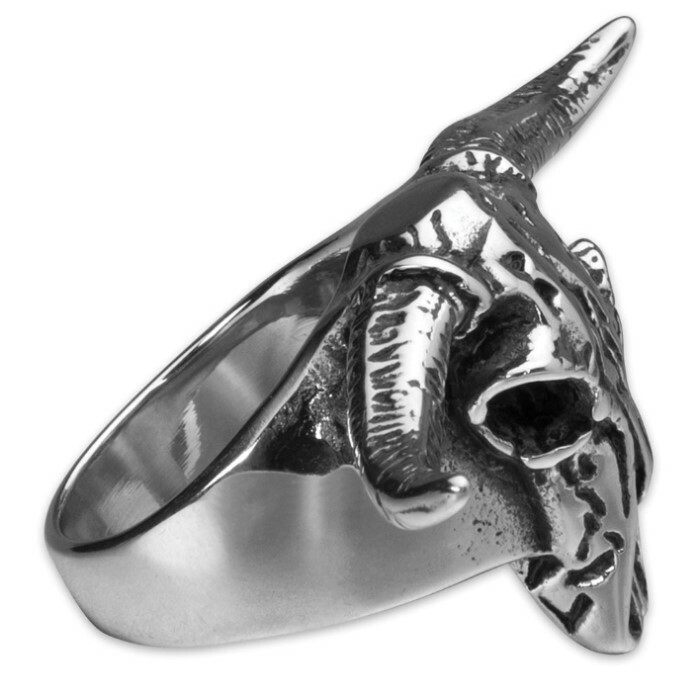 Forged with tough, brilliant stainless steel, this ring features exquisite detail and highlights - black-colored scratches for a weathered look, anatomically accurate features, delicately curved and pointed horns, and more. Looks great on anyone, especially when complementing a steampunk, goth or western motif. Slides on and off smoothly with its slick, luminous polish. Available in sizes 8-11.